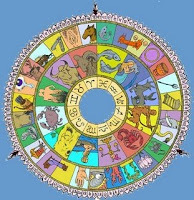 Vedic astrology has historically relied on observation of visible planets to follow their journey through the heavens. 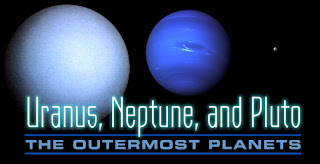 While some ancient Vedic texts discuss shadow planets, there is no absolute connection between these mathematically constructed theoretical planets and the outer planets: Uranus, Neptune, and Pluto. As the outer planets were discovered at a much later time than that of the ancient seers, it was left to modern Western astrologers to define the astrological meaning and significance of the outer planets. Uranus and Pluto's massive size and extended orbits suggested that they be deemed generational planets -- effecting groups and generations as much as individuals. Many of the modern interpretations associate the events occurring at the timing of their discovery to their thematic meaning. They were each assigned a sign by transferring the dual rulership of Jupiter (Sagittarius/Pisces), Saturn (Capricorn/Aquarius), and Mars (Aries/Scorpio) to Uranus (Aquarius), Neptune (Pisces), and Pluto (Scorpio). Only Venus and Mercury are left with their Ayurvedic rulerships Taurus/Libra and Gemini/Virgo. Uranus was discovered in 1781 by Sir William Herschel during the time of revolutionary upheaval and scientific discovery in the Western world. Uranus takes 84 years to orbit the sun, spending about 7 years in each sign of the zodiac. Because of this long orbit, astrologers interpret its influence as generational according to the sign it occupies. It was assigned to rule Aquarius. As an Aquarian in both Eastern and Western traditions, I have always been fascinated by Uranus. It is the only planet in our solar system that rotates on its side. Its poles face the sun so that one hemisphere is bathed in light, while the other lies in total darkness. These strange traits reflect its astrological significance as the breaker of convention. Thus Uranus is associated with sudden change, shock, disturbance, transformation, eccentricity, electricity, and invention. Neptune was discovered in 1846 after astronomers encountered unexpected changes in the orbit of Uranus. Mathematical calculations led astronomers to deduce that its orbit was subject to gravitational perturbation by an unknown planet. Thus Neptune was the first planet found by mathematical prediction rather than by empirical observation. It takes 165 years to orbit the sun, spending approximately 14 years in each sign of the zodiac, and has just returned to the sign it was in when it was initially discovered. The revelation of Neptune by mathematics demonstrates part of its hidden, subtle, illusionary, and confusing nature. Astrologers assigned its rulership to the sublime sign Pisces. Neptune's discovery occurred during a period of philosophical, religious, and political change. Its appearance coincided with national movements towards ideal society. For example The Communist Manifesto was published in 1848. Modern art sprung from a rejection of Realism and state sanctioned definitions of art to the acceptance the individual suffering artist as romantic hero/god. Abstract and subtle art began to gain acceptance, especially when realism could be captured and easily reproduced in a new medium: the photograph -- first revealed around 1839. And perhaps most significantly for the world today, the industrial revolution was literally fueled by the discovery of oil in 1846. Thus astrologically Neptune is associated with psychic sensitivity, imagination, charm, fluids and oil, and the media and film. What is most intriguing to me is that Neptune was discovered in approximately the same mutual exchange that it is currently occupying. Will this period be the 'last hours of ancient sunlight'? Or will new discoveries about oil and fuel be revealed? 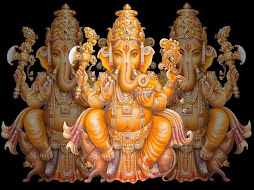 As a neo-Vedic astrologer I do occasionally consider the outer planets in my astrological analysis. What I neglected to see earlier this month was a change in sign for my favorite gas giant, Uranus. It just slipped into Pisces on April 6, 2009. Moreover, Neptune has been transiting the sign of Aquarius since June of last year. What is intriguing is that they are currently in a mutual exchange of sign until October: Uranus in Neptune's sign, and Neptune in Uranus' sign. In Vedic astrology this is a special placement called parivartana yoga and it suggests that each planet takes on strengths of the other. The same parivartana yoga was also going on at the time of Neptune's discovery. It might be worthwhile to look back at that time to see what else was happening world wide. In considering these events, it is not hard to see potential themes of the past reflected in those that face us today. 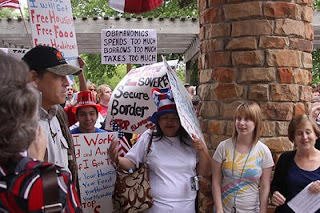 There is still talk in Texas by Rick Perry about secession from the US. Our relationship with Mexico, Central America, and South America is politically one of the most important agendas for the near future. 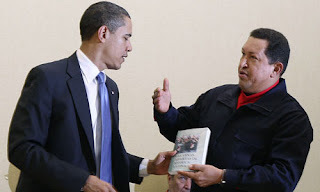 Perhaps we will reverse our imperial karma if we can open relations with Cuba and Venezuela. Famine is already happening though out most of the third world, and even the US is predicted to have food shortages if the economy continues to spiral downward. Many newspapers are no longer going to press as the rise of the internet has made them obsolete. In 1846 Pope Pious IX began what was the longest reign in Church history, lasting 32 years. During his pontificate, he convened the First Vatican Council in 1869, which decreed Papal infallibility. My how things have changed. 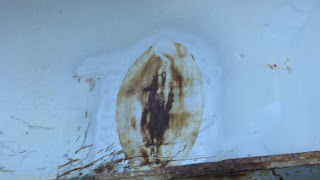 And although the Virgin Mary still makes appearances, there are far more UFO sitings on record. Still in January 2009 Pope Bendict XVI launched new guidelines for those who claim the Virgin Mary has appeared to them, in an attempt to end bogus sightings around the globe. The next 6 months should prove to be very interesting and very unpredictable.